There’s no doubt about it – I love my freedom! I’m a bohemian in some ways and I love to try doing things differently – which is why I was drawn to homeschooling over ten years ago. One of the things home education affords my family is the opportunity to be flexible with a relaxed homeschooling lifestyle. 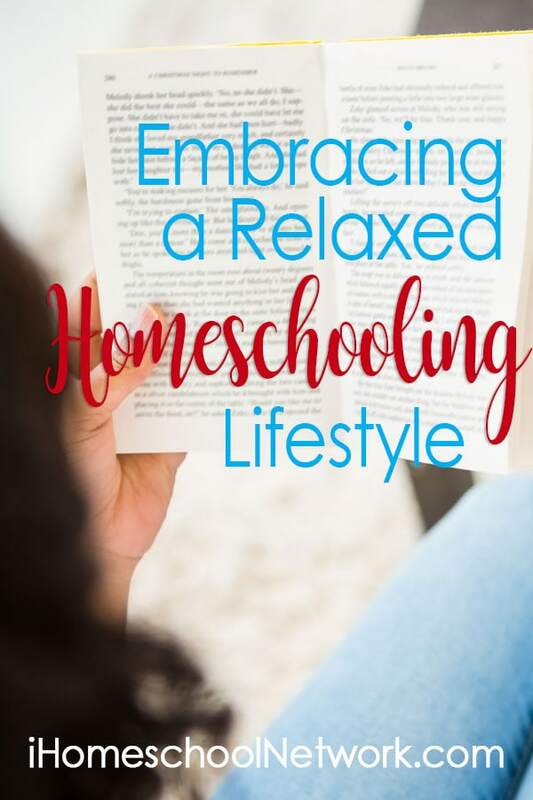 We consider ourselves relaxed homeschoolers (although much of the time I don’t feel as relaxed as I’d like what with running a business and keeping up with housework and an always-traveling military husband.) Other times I realize the freedoms we have and the choices afforded to us, and I feel extremely blessed that we can relax into our homeschool days, making them exactly what we want them to be. I’ve learned quite a few things along the way that helps me to appreciate our freedom as a relaxed homeschool family. Whether my 4th grader wants to do math in the evening in the morning is irrelevant to me so long as we continue with our learning goals. She thinks better (has her thinking cap on) in the evening so oftentimes we put math off until later on. I like to give my kids the room they need to explore and enjoy their interests and sometimes that means fun coding, art, designing a website, or reading a good book during the hours that we would normally be “doing school”. Instead, we school around life, rather than allowing school to dictate life. It took me some time to learn this lesson. With many hard knocks along the way and trial and error we’ve finally arrived to this point in our homeschooling. Be flexible with curriculum selections. I’ve learned that it’s really okay to make a mid-semester change in our homeschool with curriculum choices. I have decided not to feel guilty about these transitions. Over the years we have tried a variety of school-at-home and virtual school options that just didn’t work out for my high schooler. The beauty in being a homeschooler is knowing that I can absolutely pull her out of any structured program that doesn’t work for her and create a new protocol for her that fits her personal needs. I try to stay open-minded when it comes to choosing curriculum. This means that if I find something new that might work better I’m more often than not willing to try it out and see if it works. If it doesn’t, it’s okay. Rather than struggling through an entire school year attempting to make it work, I just decide to let it go and find something else that works for my kids. Again, time is of utmost importance to us so we try to live our lives in a way that grants us to time to actually enjoy life. Rather than packing our days full with curriculum we try to leave wiggle room for real life fun. We play board games, card games, read books, watch oldies on Netflix and go on field trips when we can. Relaxed homeschooling for us means being intentional about not creating a rigid lifestyle. Viewing education this way has been our saving grace throughout our decade-long journey of homeschooling. I’m so grateful that I get the opportunity to relax into home education.